With apologies to Sha Na Na, it’s Summertime, Summertime, Sum-Sum Summertime here in Estes Park, and along with the sunshine comes our latest class of Eagle Rock School graduates, including Heather Johnston, Gabriel Hernandez, Daryl Jones Jr. (DJ), Amelia Howard, Garrison Seizer and Ziyad Johnstone. 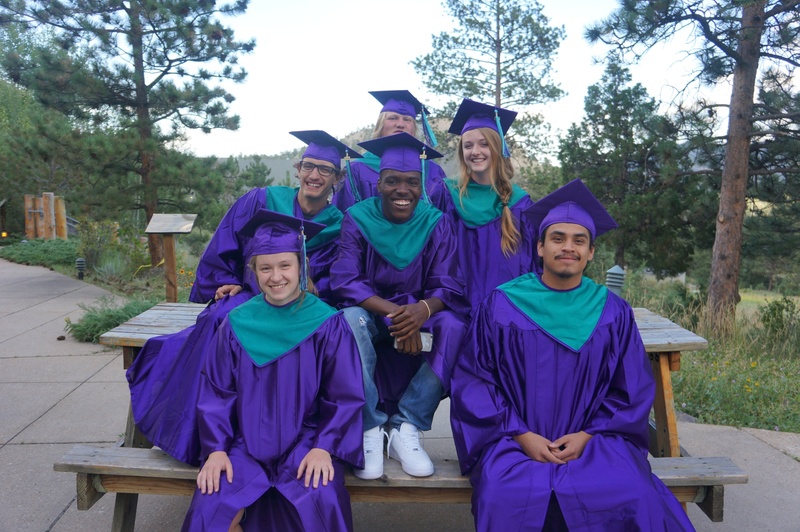 These half-dozen students will take the stage at 4pm Mountain Time, on Friday, August 7, here in Estes Park where we’ll celebrate their growth and development while at Eagle Rock and wish them well in their future endeavors. Heather Johnston has proven herself to be a tremendous leader during her time here within the Eagle Rock community. She arrived in ER 58 (our 58th semester since the early-1990s), hailing from Dillon, Colo., which is just down the road. Heather has been an active member of Aspen House for the past three years, during which she has added to her resume by leading morning exercises, participating in PeaceJam, acting in our campus production of In the Blood, and becoming a lifeguard. She was also a student co-teacher for the Gender and Violence course and served as a student leader for Spectrum, Eagle Rock’s gay-straight awareness group. Heather says she was able to conjure up the energy for all these activities with her love of chocolate. She also has a special talent as a unicycle rider. Upon graduating from Eagle Rock, Heather will be attending Marlboro College in Vermont, beginning this fall. Eagle Rock’s 66th trimester (ER 66) brought us 10 fresh-off-the-bus students and a return to the wilderness for our New Student Wilderness Orientation Course. The program remains among the staples of the Eagle Rock School student experience and, in fact, we have been conducting these courses since the school’s founding in the early-1990s. 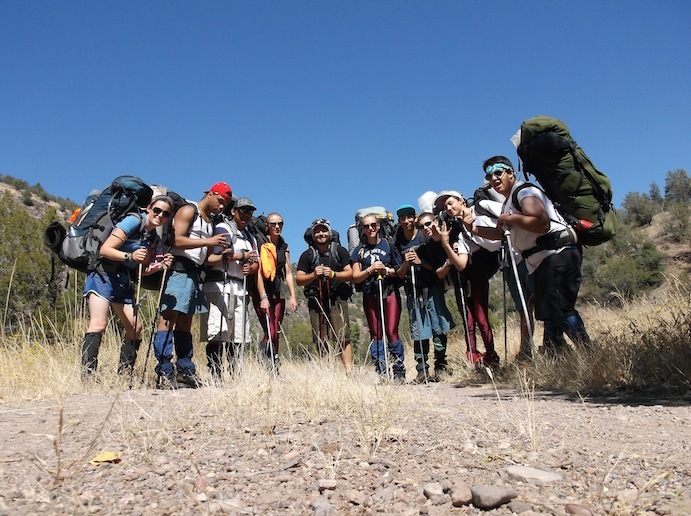 Three times a year, we gear up and head out to the Superstition Mountains of Arizona, the Gila Wilderness in New Mexico, or the Lost Creek Wilderness in Colorado for a 24-day backpacking course. The trips also include rock climbing, rappelling and a three-day solo experience. This orientation program places students in unique situations, during which they have the opportunity to gain valuable learning experiences. 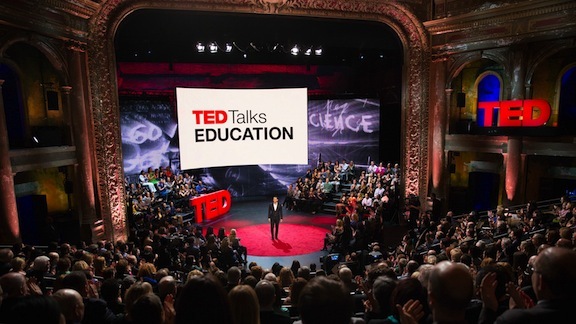 This learning is made possible by placing students in a new, unfamiliar setting (wilderness) where they must rely on themselves and each other to succeed, and where the usual distractions of adolescent life — smartphones, TV, fast food, drugs and alcohol, cars, malls, cosmetics and hair products — are absent. Underlying this novel setting and providing the basis for change is a foundation of trust and the student’s perception of the wilderness as a setting riddled with danger and risk. Overcoming the unique problems that a wilderness trip typically presents requires a cooperative effort among all group members. Putting together the “wilderness puzzle” of problems leads to feelings of accomplishment, enhanced self awareness and self control, as well as a feeling of personal responsibility for self, others and the natural environment. In the end, the skills that students develop on the course will help them successfully contribute to the Eagle Rock community and ultimately to society as a whole. Courses are 24 days in length due to the fact that it usually takes an individual about three to four weeks to develop a habit or change a behavior. We think 21 days is the minimum amount of time we can spend in the field to effect positive changes. Most students don’t become aware of, or begin working on, changing behaviors until five to eight days into the course, so the task for us is to have students continue the work they started on the wilderness trip back on campus. The one place you’ll seldom find our latest featured Eagle Rock educator is in the classroom. Matt Bynum is our outdoor education adjunct instructor and you can’t do all that much hands-on teaching about the Great Outdoors when four walls topped by a ceiling surround you. Matt starts each trimester either instructing or directing our Wilderness Orientation course, and then, if time permits, he teaches an Explore Week course. The second half of each trimester finds him busy managing the wilderness gear, developing curriculum for our outdoor offerings, coordinating the Veteran Pin system, serving on our Risk Management Committee, and teaching the occasional wilderness class. Eagle Rock: Where did you receive your college degrees? Matt Bynum: I graduated in 2006 from Western State College in Gunnison, Colo. I majored in outdoor leadership and minored in environmental studies. The classes I took there helped get me really excited for outdoor education while building a solid base from which to work. I loved the hands-on approach and small class sizes. I can’t thank those professors enough. Matt: Before my Public Allies fellowship in 2009, I worked as an instructor and course director at Outward Bound in Colorado for five years. These were predominantly mountaineering courses. I also did a summer of trail work, taught environmental science, and guided outdoor trips at my college. Immediately before coming back to Eagle Rock in 2013, I was teaching at a public school in Commerce City through Goodwill. 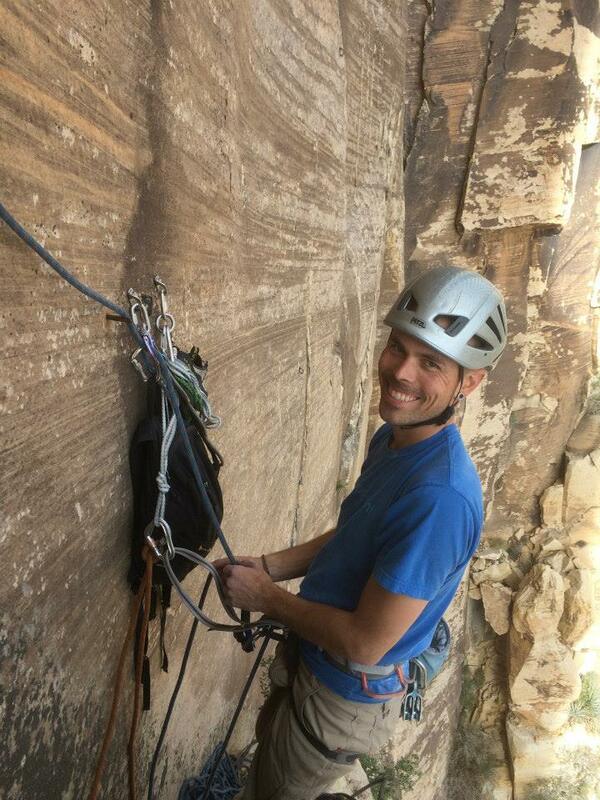 When I was not instructing, I spent time traveling and climbing in Patagonia, Ecuador and Asia. ER: What attracted you to Eagle Rock? Since Eagle Rock’s inception, a new student wilderness orientation course has been an unconventional tradition that sets ours apart from other learning habitats. As an Outdoor Education Fellow, I continue to be blown away by how Eagle Rock engrains — and then celebrates — the wilderness experience as a right of passage for new students. 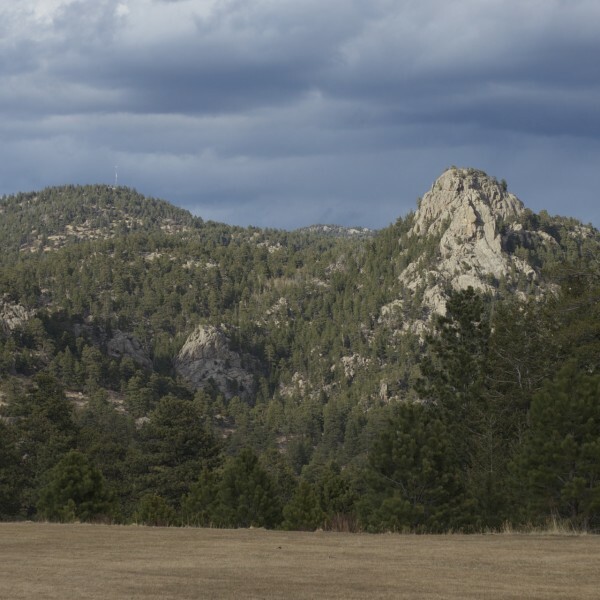 The moments they first step foot on campus, new Eagle Rock School students find themselves surrounded by veteran students and the first topic of conversation is inevitably, the wilderness course. These more experienced students talk about how much they enjoyed it or hated it. They offer the newbies tips and tricks on staying clean, or the best way to snag some extra toilet paper. And soon, these fresh new faces hear about circles — a restorative process that is used frequently while in wilderness. Like the name suggests, students and instructors form a circle in order to create an emotionally safe space for discussions. Interestingly enough, there has been an evolution in how students reminisce about their experience with circles. It was often described as a negative experience, but over time, something has changed. The concept of circles, and the perspective of them, has changed. I’ll explain why I think this change has occurred in just a moment. I often tell students near the end of the 24-day wilderness expedition, that one of the many reasons we go out into the backcountry for two dozen days is because there’s really no place to hide. Wilderness forces us all to step up to the plate, to embody our strengths consistently, and it exposes areas with which we are struggling. Sometimes, it exposes problem areas we didn’t even know we had. But the one thing 24 days gives us is time. We have time to stop, time to contemplate, time to discuss what’s going on. And time to figure out how we can move forward in order to curtail, contain or take the power out of a conflict that might impede the functionality of the group — our community. Of course, conflict is unavoidable. We like to think it is a healthy approach to developing a positive group culture that correctly, and appropriately reflects the vast values and perspectives of its community. An introductory way that we do this is with affective statements and questions. These tools are incorporated into circles and the progression of questions the facilitator uses. One-on-one coaching is an essential tool of the wilderness instructor. Students often need support in how they bring up issues or frustrations with affective statements.